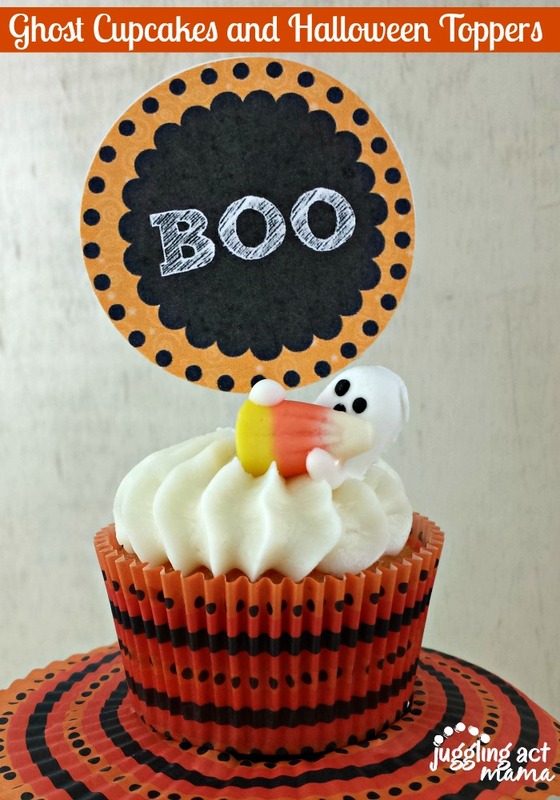 Halloween is such a fun holiday and these Ghost Cupcakes and Halloween Toppers are a fun way to celebrate. When it comes to Halloween, I tend to go more toward the cutesy than creepy – you won’t find me in a haunted house anytime soon, that’s for sure! These cute little cupcakes with BOO toppers totally fit the bill for me! I found these cute little Halloween Royal Icing Ghost with Candy Corn made by Wilton – top each cupcake with one decoration and a cupcake pick, or alternate every other one. I’ll admit that there’s no real recipe here, although I’d recommend you use THIS frosting recipe. I recommend printing on card stock. To assemble, use a paper punch or scissors to cut out the toppers. Then glue the pieces together, with a lollipop stick in the middle. Slow the cupcake picks to dry flat before sticking them in the cupcakes. 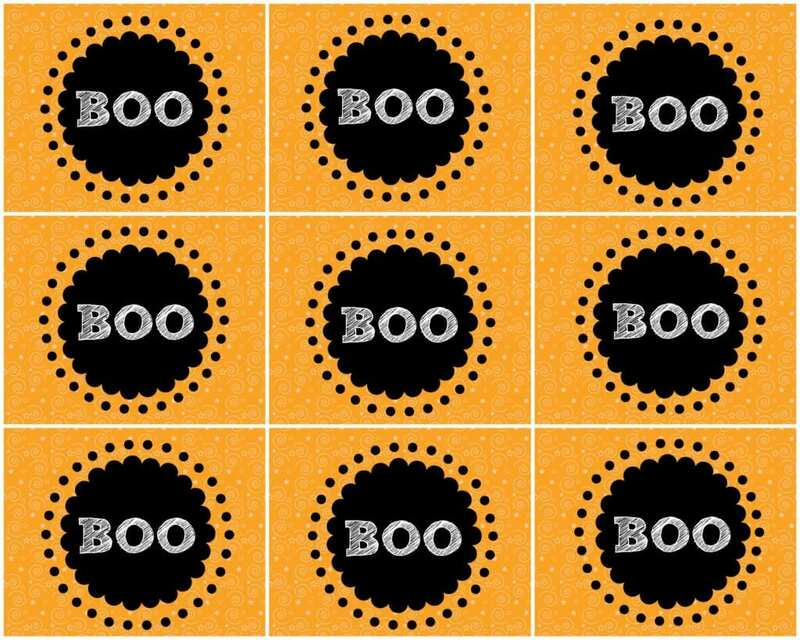 These can also be used as fun treat tags as well – just print and write on the back.